Q: Why do brakes squeak? A: Brake squealing and noises are common with various causes. Most often it is caused by dust and high frequency vibrations of the brake pads which is caused by wearing down over time by everyday use. Just like the way a cricket makes noises by rubbing its legs together same goes for brakes. Worn brake linings also tend to be noisy. Brake systems should be checked regularly and worn parts replaced before ruining expensive calipers and rotors and causing your brakes to fail. Q: Why should I change my timing belt? A: Most of today’s engines use timing belts, and are an important preventative maintenance item. In the old days they were made of metal and called timing chains. As engines became smaller and lighter, rubber belts replaced the heavier chains that had to be lubricated. The belt deteriorates over time with heat and age and lasts about 60,000 miles or 5 years although some makes have increased the life expectancy. The timing belt's job is to keep moving parts, primarily valves and pistons, in time with one another. If the timing belt is not replaced, it will eventually break, leaving you stranded, and on some models causing further engine damage which can be extremely expensive to repair. Q: Does brake fluid really need to be changed? 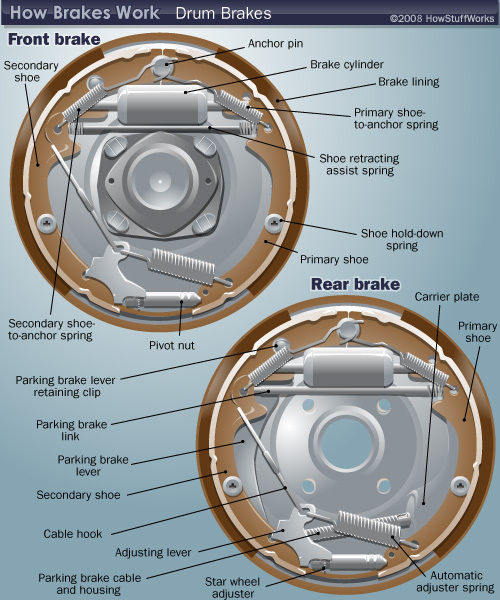 A: The average driver uses their brakes 75,000 times per year and takes for granted that they’ll work every time. Today’s brake systems are hydraulic and use brake fluid which is hydrophilic, meaning it can absorb moisture from the air. Once the hydraulic system has moisture in it, corrosion takes place and brake components fail. Brake fluid should be flushed periodically to keep corrosion under control. This procedure is not expensive and is included in many preventative maintenance schedules. There are three main types of break fluid, known at DOT 3, DOT 4 and DOT 5. The most commonly used is DOT 3. The difference between DOT 3, DOT 4 and DOT 5? DOT 3 (color amber) is polyglycol and absorbs moisture the quickest and has the lowest boiling point and should only strictly be for road use. DOT 4 (color amber) is polyglycol and is designed to absorb moisture slower than DOT 3 and has a higher boiling point. DOT5 (color purple) is silicone based and does not absorb moisture and holds the highest boiling point. DOT 5 is primarily designed for cars not equipped with ABS units (Unless otherwise manufacturer specific) and this should not be used unless you're absolutely sure of what you're doing. Q: Should I convert my car air conditioner’s refrigerant from R12 to R143a? Yes if you have a major system failure. Freon makes your car's air conditioning system work--it's nasty stuff as far as the ozone layer is concerned. Production of Freon has been ceased in the US. There are substitutes that require conversions and are rather costly. If your a/c system is going to require an overhaul, you may be asked to consider changing to a new substance. The question is, "convert or not convert"? The general industry consensus is to convert, for several reasons. Environmental and cost are the 2 main reasons. The old R12 Freon is still available and can be used until the supply is gone which could be several more years but it is getting expensive. 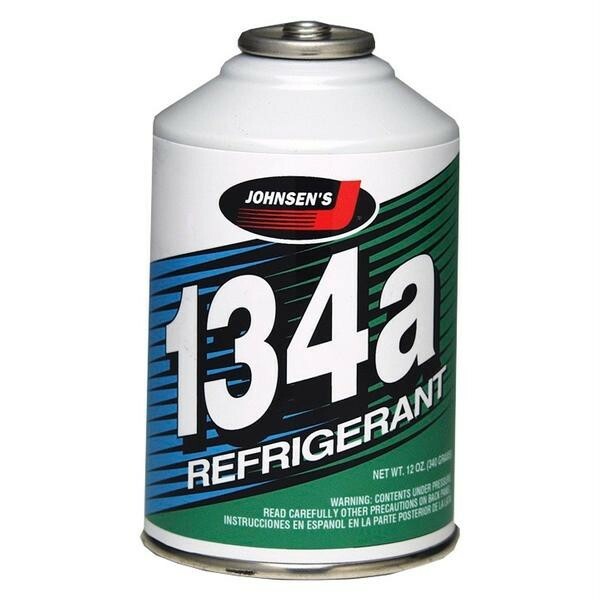 The newer refrigerant is called R134a and will not be quite as efficient as the old stuff but will work very well even in our desert environment. At Lugo's we like to use ICE32. Q: Why can’t I use plain water in my radiator? A: Your car's engine makes a lot of heat. So much heat that it can destroy itself. A cooling system is needed. 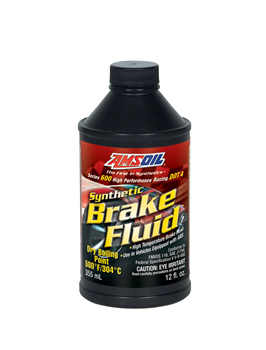 Antifreeze mixed with water at a 50/50 ratio provides freeze and boiling protection. Too much antifreeze can cause heat transfer problems which can result in overheating. If you experience overheating, turn the a/c off and the heater on to help remove heat from the coolant. If the engine temperature light comes on or the gauge goes into the red zone, the engine should be turned off quickly and allowed to cool down to avoid costly engine damage. Plain water will start a rust process that is almost impossible to stop. Rust particles deteriorate the entire cooling system, water pump, radiator, hoses, thermostat etc. but in a time of emergency water can be added just not in excess so that the antifreeze doesn't get completely diluted. Q: How often should antifreeze be replaced? A: Antifreeze should be replaced every two years due to oxidation and deterioration of important additives. These additives lubricate the water pump and protect metal parts from rust and oxidation. They also help keep coolant hoses soft and flexible. Today we can recycle and clean old antifreeze, replacing the additives. Antifreeze is very toxic and not environmentally friendly so recycling makes good sense. The engine's thermostat should also be replaced every 2 years to keep the engine operating temperatures in the proper range. Q: Should I have my car checked before a long trip? A: Absolutely! Summer outings should be enjoyable and not spent in a roadside repair shop out in the middle of nowhere. Have your car serviced and fluid levels checked before any long road trip and don’t forget the windshield washers and wipers. Radiator hoses and fan belts are one of the main causes for breakdowns (overheating, talked about above). Hoses deteriorate from the inside out so looks can be deceiving. Wheel bearings should be packed and correct tire pressures will give a smoother ride and better fuel economy. A little preventative maintenance can help insure you won’t get stranded and you and the family will enjoy. Q: What is a CV Boot? 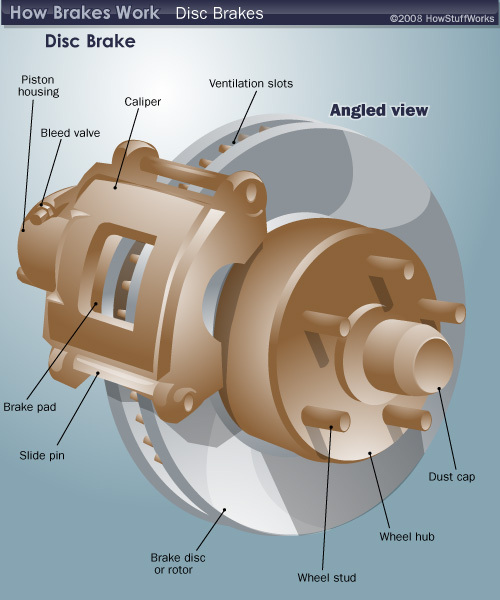 A: Front wheel drive cars and 4 wheel drives use flexible axle shafts with Constant Velocity joints or CV’s for short. The CV joints allow the axle shafts to spin the front wheels while moving up or down over bumps or turning corners. 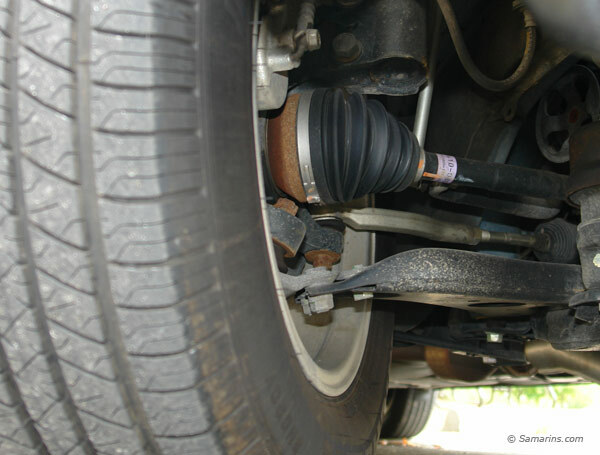 The CV joint has a protective rubber boot that keeps grease for lubrication in, and dirt and water out. When the rubber boot breaks the CV joint loses grease and starts to "click," especially during cornering. The broken boot should be replaced as soon as it is noticed to help avoid costly repairs. Q: Does my car have to go back to the dealer for all services? A: Preventative health care is important for top performance and longevity. Preventative maintenance for today’s hi-tech cars helps keep small problems from becoming large expensive ones. Most new car warranties are affected by scheduled preventative maintenance, meaning that maintenance must be done in order to keep the factory warranties in affect. New car dealers would like you to believe that they are they only facilities that can perform these services. This is not true. Anyone can perform the required services, as long as the parts used are Original Equipment quality and all maintenance is performed on time per the manufacturers recommended schedule. Q: My car doesn't smoke, does it still pollute? A: A large portion of the "brown cloud" over our cities is caused by vehicle pollutants (unburned hydrocarbons from fossil fuels). Two decades ago the PCV valve was one of the first emission devices and was easy to check and replace. Today’s computerized engine controls demand high tech equipment and testing procedures. The various computers and controls improve engine efficiency and performance, but need periodic checking, adjustments and maintenance. When malfunctioning, these systems can cause hard starts, hesitations, poor performance and add deadly chemicals to our environment. 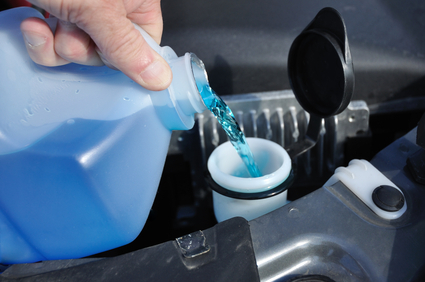 Q: Is Windshield washer fluid just soap and water? A: Windshield washer solvent has a toxic alcohol base to keep it from freezing. The solvent should never be used in concentrated form because it can harm the car's painted and waxed surfaces. Mix the solvent to the manufacturers recommendations for the freeze point you feel is safe for your area. Some brands, usually sold in gallon containers, come diluted but may not protect to a low enough freeze point, which is important, due to the cost of the windshield washer reservoir and other components.